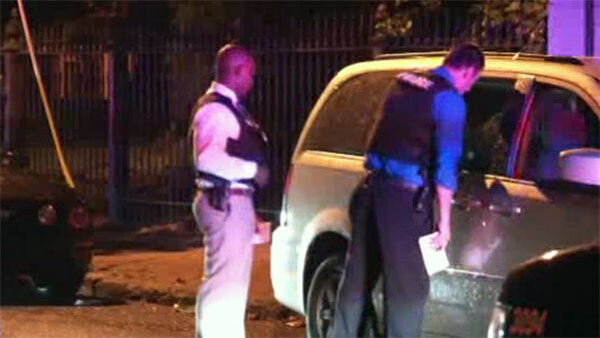 4 injured after gunfire in Wilmington, Del. WILMINGTON, Del. (WPVI) -- A total of four people were injured, one of them critically, in a shooting late Friday night in Wilmington, Delaware. The shooting happened around 10:45 p.m. in the area of West 7th and North Washington streets. Officers arrived on the scene to find a 26-year-old man suffering gunshot wounds in the arm and abdomen. He was rushed to the hospital in critical condition. Three other people suffered graze wounds. Those injuries include a 33-year-old woman who suffered a graze wound to the neck; a 35-year-old man suffered a graze wound to his upper left arm; and a 40-year-old man who suffered graze wounds to his right arm and right eye. Anyone with information is asked to contact police at 302-576-3961 or the Delaware Crime Stoppers Tipline at 1-800-TIP-3333.